Project Denneler: A Sister-in-Law Surprise. 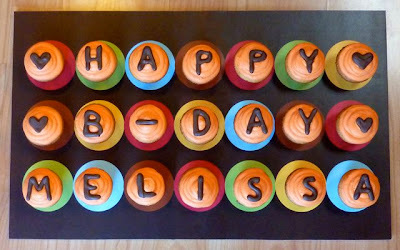 My sister-in-law, Melissa, is celebrating her birthday today. 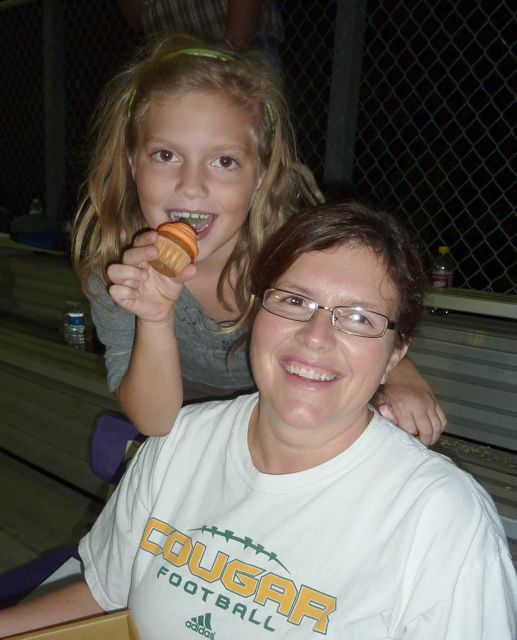 Not only is it her birthday, but they're also moving into a new house this weekend in Salina, AND her son Cameron had a football game tonight in Derby. So she's spent her day packing, cleaning, unpacking and driving. Hardly a fun way to celebrate your birthday. 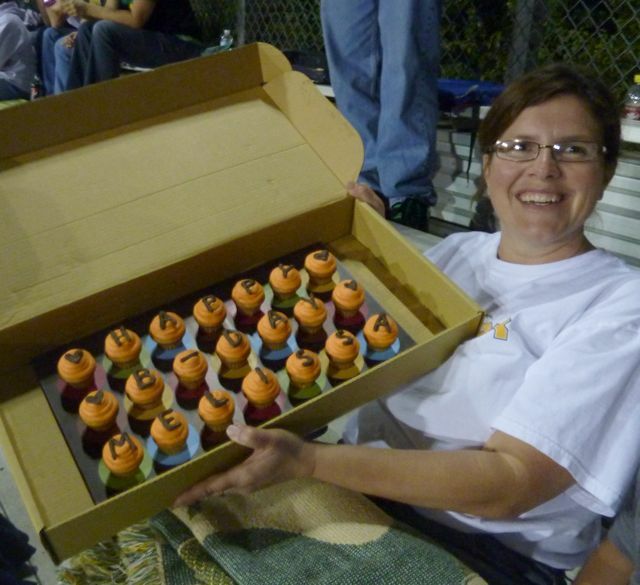 So I decided to surprise her tonight at the game. Bea and I showed up at half-time with a box of cupcakes. Surprise! BONUS: My nephew, Cameron, kicked four field goals and the Salina South Cougars won.